The CleanFinancial guide to Platinum spread betting. Where Can I Spread Bet on Platinum? Where Can I Trade Platinum for Free? Where Can I Practice Trading Platinum? How to Spread Bet on Platinum? The real-time CFDs chart and prices below provides you with a handy guide to the Platinum market. The above Plus500 chart usually shows the Platinum futures market. Note that you might also be able to take a view on Platinum using other firms. The latest Commitments of Traders Report (COT) for Platinum has been released by the CFTC, see our Platinum COT report below. » For more see Commodities Trading News & Analysis. If you would like to study spread betting charts and prices for Platinum, you will normally require a financial spread betting account. Please note that opening such an account is subject to suitability, credit and status checks. 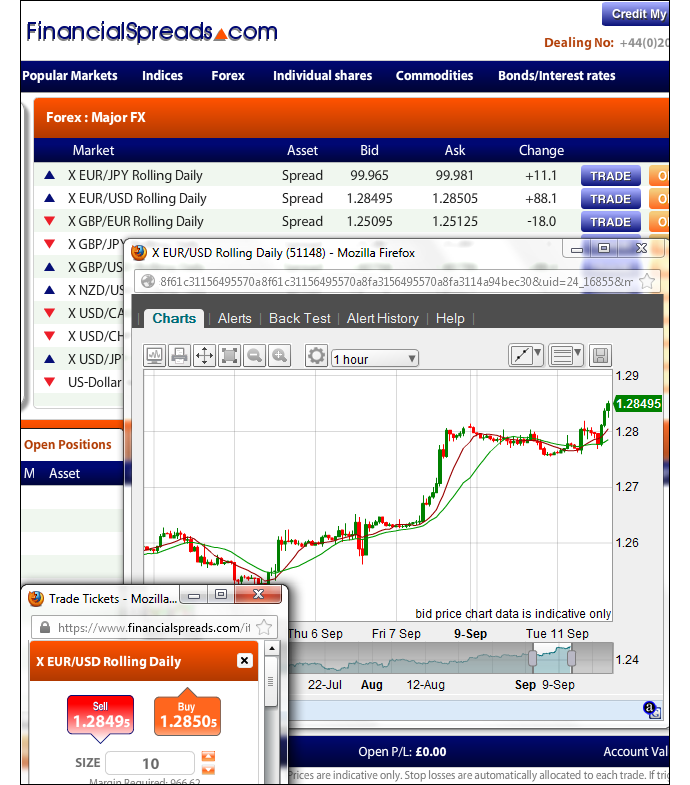 Should your account application be approved then you can log on to analyse the charts and the current prices. On most platforms, these will be provided for free, however, the catch is that you’ll probably get the odd newsletter or sales call from your chosen spread betting firm. Of course, if you do decide to trade then, before starting, you should note that financial spread trading and CFD trading carry a high degree of risk to your capital and can result in losses that exceed your initial deposit. Speculating on the financial markets always includes a degree of risk. Having said that, if you want to try a free Test Account, that lets you try spread trading, then see below for further details. When deciding which trading option might work for you, also remember that spread betting, in the UK, is tax free*. Should you want to have a look at a free Demo Account / Test Account that lets users try out financial spread betting, and trading markets such as the DAX 30, crude oil and Platinum, then have a look at our guide to Demo Accounts. 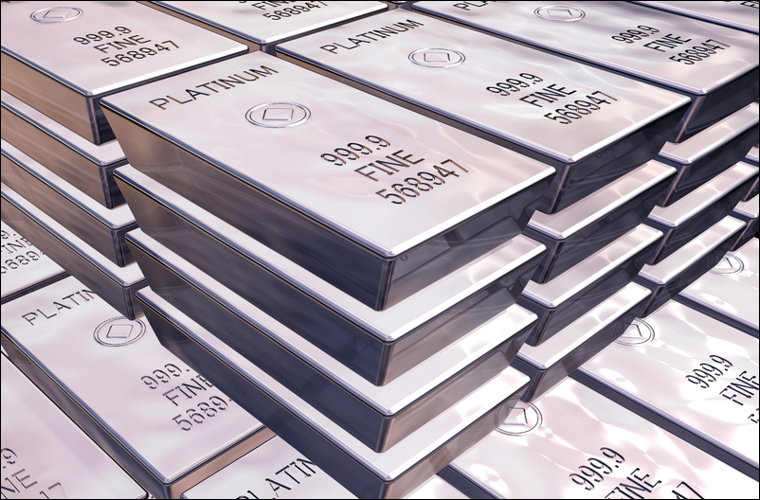 As with many global markets, investors can speculate on commodities futures, like Platinum, to go up or down. At the time of publication the Platinum (January) market is $1,468.0 – $1,471.0 with FinancialSpreads.com. This market expires on 28-Dec-07. By the expiry date of 28-Dec-07. With the Platinum market, you trade in £x per tick, where a tick is $0.1 of Platinum price movement. E.g. if your stake was £6 per tick and Platinum moves $0.7 (7 ticks) then that would be a £42 difference to your profits (£6 per tick x 7 ticks = £42). Taking the above spread of $1,468.0 – $1,471.0, let’s say you like the price and think that Platinum will finish above $1,471.0 by 28-Dec-07. Therefore you buy at $1,471.0 for a stake of £3 per tick. Your profit is calculated by taking the difference between the closing level, ie $1,476.2 and the price you made the spread bet at, ie $1,471.0 and then multiplying that by the stake per tick. Nevertheless if the market didn’t work out as expected and had platinum gone against you and finished lower at $1,464.4, then you would have lost on this spread trade. Note: Spread betting example prices quoted: 08-Nov-07. Please note that Financial Spreads offer a range of commodities but they no longer offer platinum.